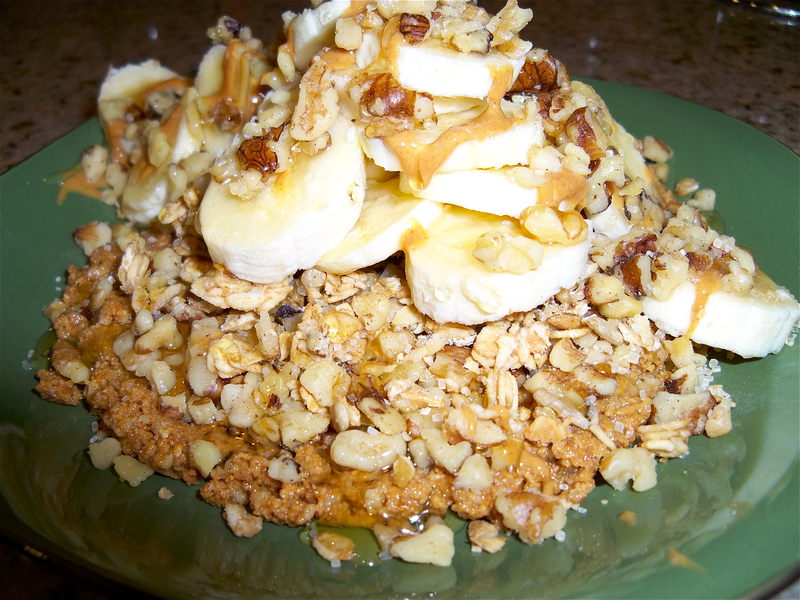 Peanut Walnut & Bananna Pie – No BAKE!!!! 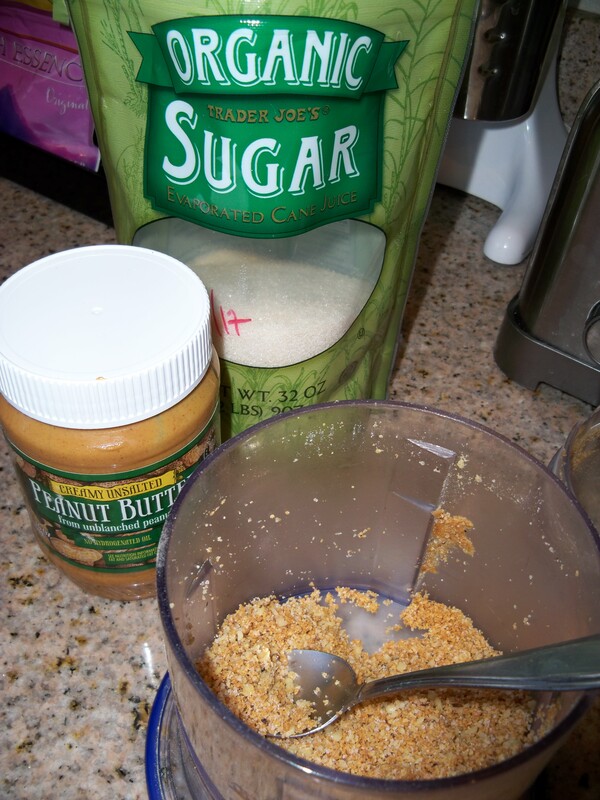 In a food processor take the graham crackers, sunflower seeds, pulse until blended fine. Then take 3/4 of the walnuts and add them along with 1/4 cup cane sugar. Top with more peanut butter, cold thin sliced bananas and the remaining walnut pieces. Serve in a bowl like a pie.